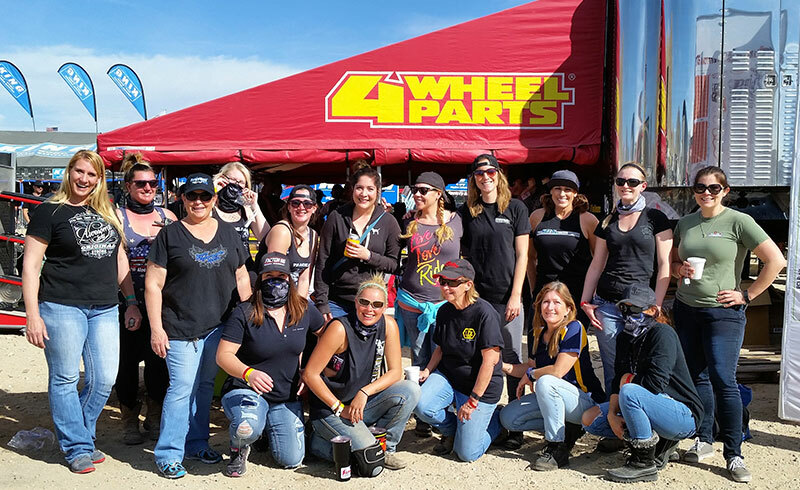 Every lady on the lakebed is welcome to join the Ladies Offroad Network events and educational opportunities during King of the Hammers week. We are requesting that you preregister for the afternoon events, but you can still register at the event. 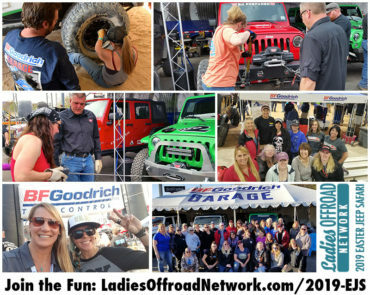 Preregistered ladies will receive a VIP invitation to the BFGoodrich Tires Kick-Off Party on Tuesday night for you and a guest. Click here to register. Fuel up every morning with free coffee and tea at the 4 Wheel Parts booth. 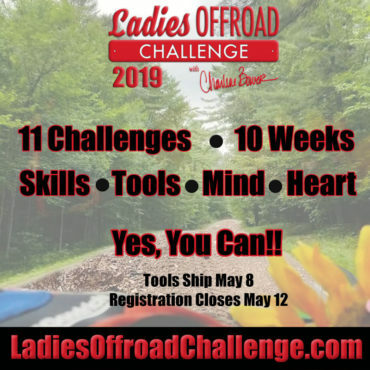 Join a casual atmosphere where you can meet other offroad ladies and swap stories, or create plans to go on the trails. We all have a lot in common, it just takes a few minutes to get the conversation started. You are welcome to bring goodies to share. 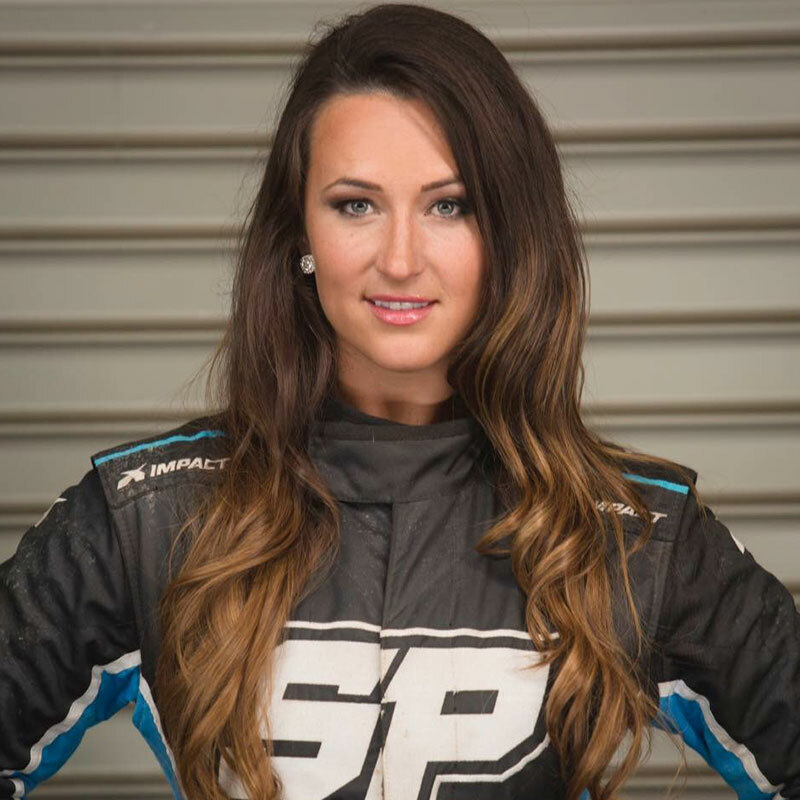 Each morning will offer a different experience with racers and key industry people stopping by to say hello. This is a great place and time to meet with friends that you have met online or wheeling in other areas. Feel free to utilize it as a group spot. 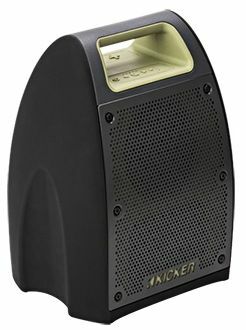 Every day, you can submit your name into the drawing to win a Kicker Bullfrog at the end of the week (Friday)! I’m Not Just a Girl shirts and sweatshirts will be available for purchase through 4 Wheel Parts, XS-4XL. Guys are welcome to drop by for free coffee and tea if they buy their lady a shirt. So, if you aren't coming to King of the Hammers, here is some motivation to help your guy bring you back something nice. 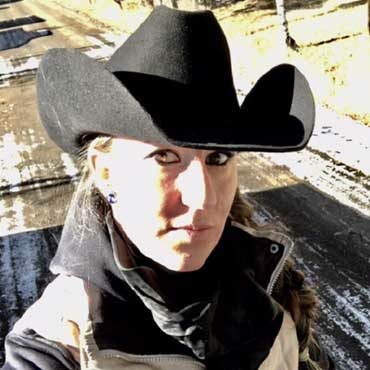 Trisha Hammer (Jeremy Hammer #97 wife) said it best: "The guys can walk through town and they waive and know all kinds of people. We walk through and don't know anyone. These morning coffee's are going to change that. Now we will know each other and be able to say HI while wandering around or at the drivers meetings, which will also transfer into the next race and online. I'm excited! Once I get on the lakebed, I'll be at every one!" Amada is bringing all of their huge CNC Machines back out to the lakebed this year. 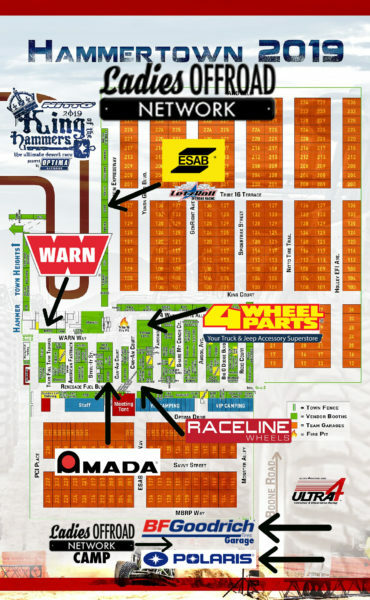 We have set up a time for YOU to get a very special tour of the booth, learn about the specific machines and USE them! Amada has put together a special opportunity for us to build a part on their machines. If you are interested in working in the offroad industry, this is a great opportunity to see the manufacturing aspect of the parts we use! *Please DO NOT BE LATE. This opportunity only starts at 1pm. **Please sign up in advance here. It's free! 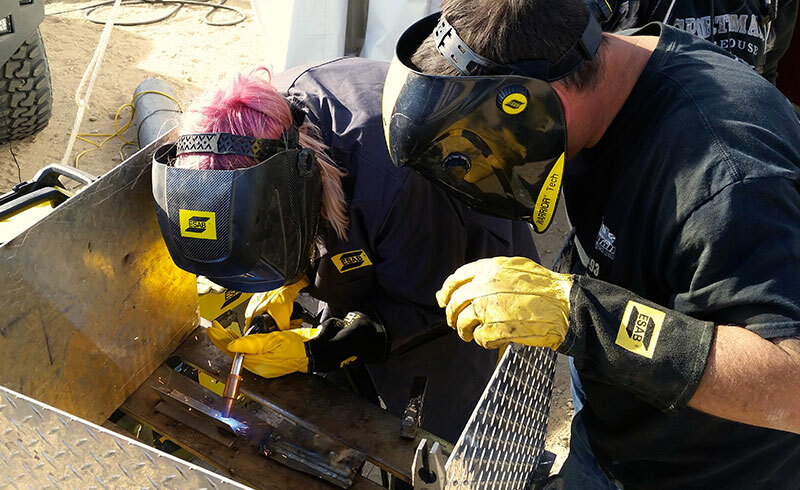 Throw on a helmet, gloves, and jacket, and get instructions on how to properly weld at the Ladies Welding Experience hosted by ESAB Welders, the Official Welder of King of the Hammers. Drop in between 1pm and 3pm on Monday, February 4th. 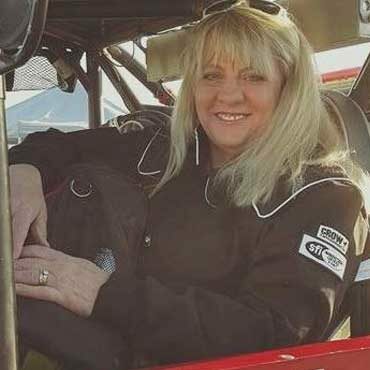 When you are done welding, or while you are waiting, you will have the opportunity to tour the LetzRoll Offroad Racing working pit that has two race cars taking a green flag. Driver Andrew McLaughlin and his team will show you around and answer any questions you have! Everyone that comes will receive a special gift and be entered to win an ESAB Welding helmet! You do not need to be present to win. Please sign up in advance here. It's free! Bring your gloves and get instructions on how to properly winch at the Ladies Offroad Experience hosted by Warn Winch, the Official Winch of King of the Hammers. Drop in between 1pm and 3pm on Tuesday, February 5th. When you are done winching, or while you are waiting, you will have the opportunity to tour the WARN booth that getting educated about all of the different types of winches and why you would need/want one over another. You will also get to have a sneak peak at the WARN VIP Area that has an epic view of the race course. Everyone that comes will receive a special gift and be entered to win a WARN Gift! You do not need to be present to win. Want to learn about tires, how to change a tire, plug a tire and mount new tires on beadlocks? This is going to be fun! Bring your gloves and get ready to try something new. 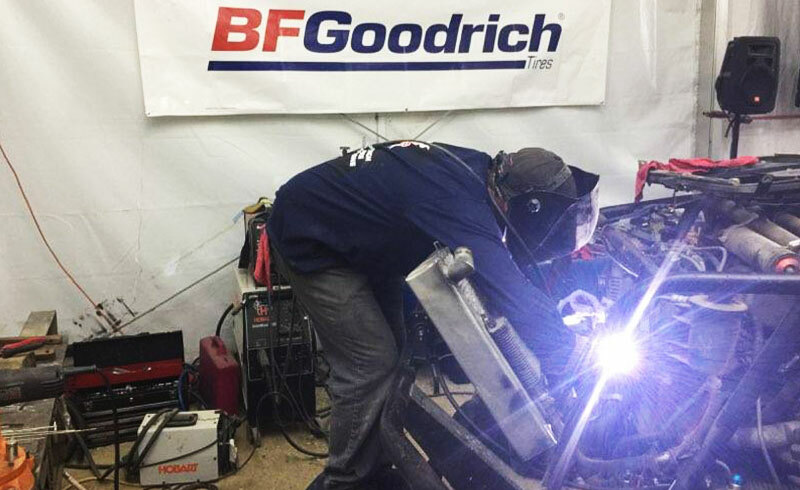 We have multiple projects for you to participate in at the BFGoodrich Tires Garage Wednesday between 1pm and 3pm. 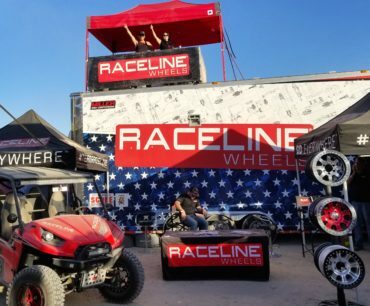 You will also have the opportunity to tour the BFGoodrich Tires Garage working pit that will be supporting the Every Man Challenge racers and enthusiasts. There will be some kind of action happening, guaranteed! You will also be able to learn about tires and ask questions specific to your situation. Did you know tires have more than 30 layers in them? Everyone that attends the class will be entered to win a gift from BFGoodrich Tires. You do not need to be present to win. Don't be intimidated! This is a perfect environment to learn something new and get some tips from professionals! Join us in the Raceline Booth on Wednesday for VIP Treatment from 4-6pm. Meet Greg Mulkey, get a free hat, and learn about wheels. Plan on hanging out for some chips and salsa, and a couple extra surprises! Pre-Register now to let us know you are coming. 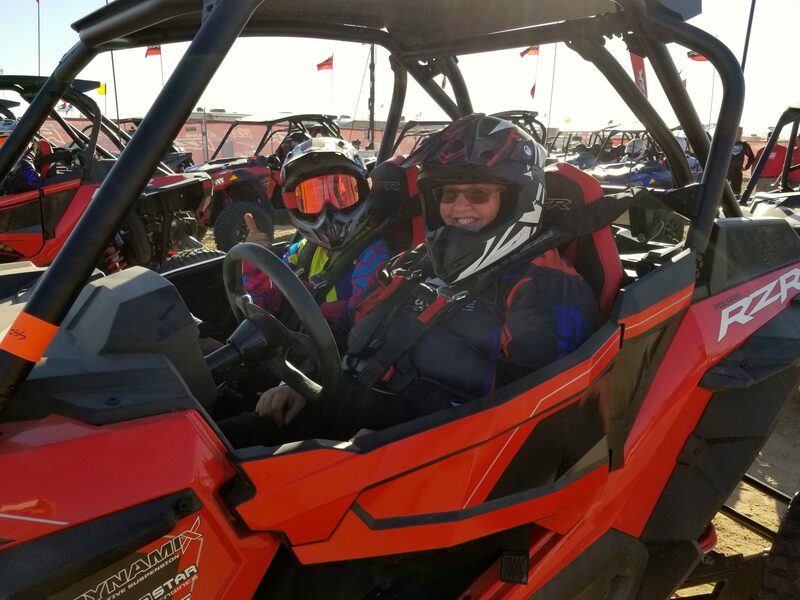 Bring your adventure and get ready to jump behind the wheel of a Polaris RZR for a test drive. You will also get a special opportunity to meet with one of the engineers who participated in designing the RZR. You MUST Pre-Register if you would like to be a driver, we will be locking you into a time spot that are limited. Please come prepared to go on a ride! Long sleeves, pants, closed toe shoes. If you have your own helmet, goggles and gloves, please bring. You will also need your drivers license for their paperwork. Everyone that comes will receive a special gift and be entered to win a POLARIS Gift! You do not need to be present to win. 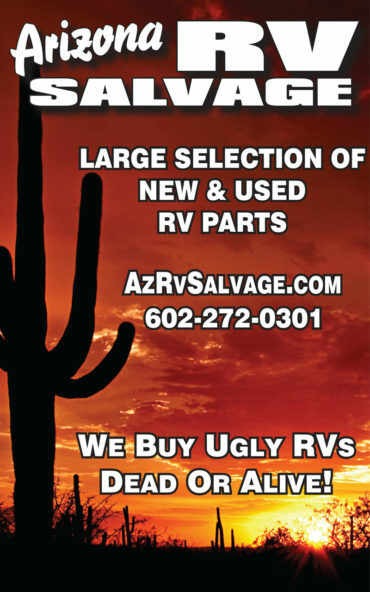 If you find yourself with unexpected RV trouble, visit RV Dan from Arizona RV Salvage! Look for his trailer in Hammertown across from the ESAB booth. He'll get you fixed up in no time! For spectating enthusiasts and racers, the BFGoodrich Tires Garage will be located just outside Hammertown, on the main road before the gated community. 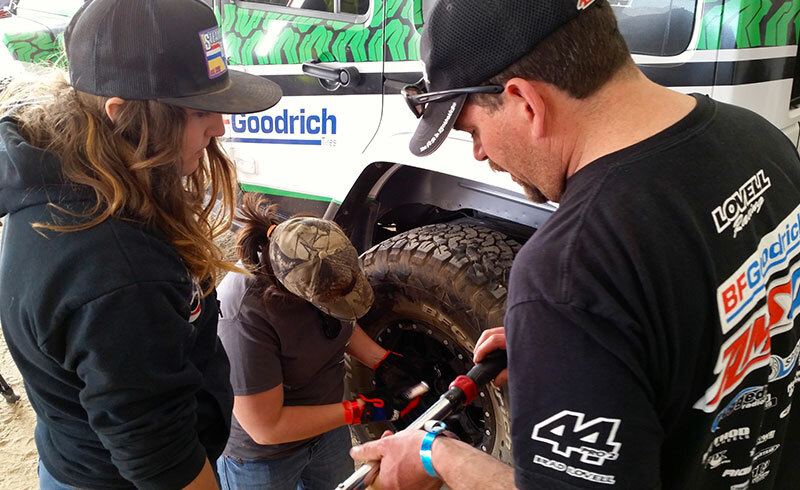 If you need to work on your rig, visit the BFGoodrich Tires Garage. The full-service garage includes tools for you to use free of charge (bring your parts). Two professional mechanics will be available to help with anyone’s needs, including welding and fabrication. In addition, BFGoodrich Tires is offering tow service and will have an Amsoil Oil Recycling Center. Get fixed up with BFG! 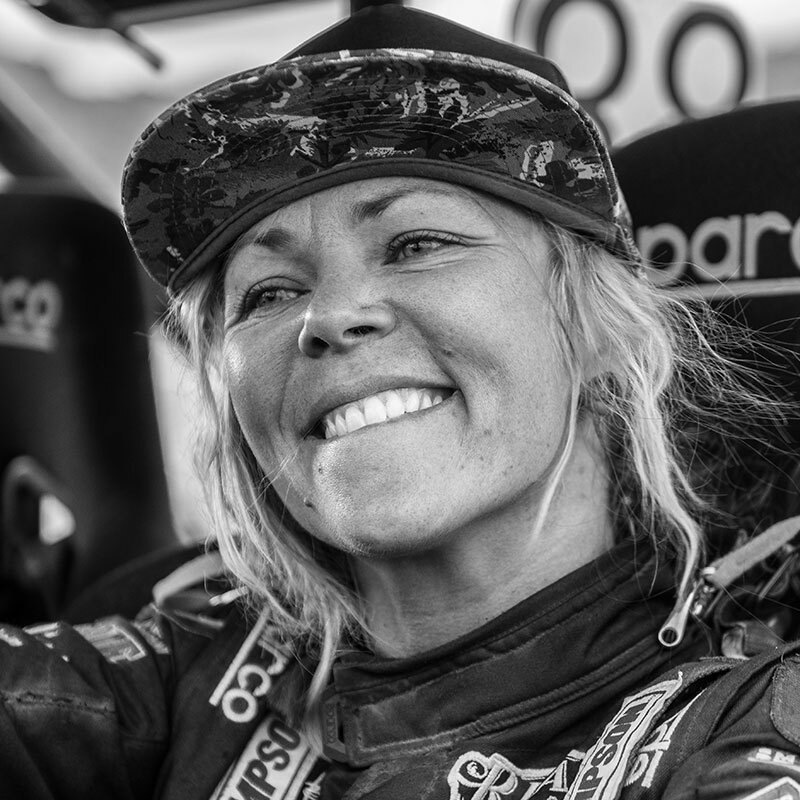 Online, the BFGoodrich Tires Garage is a community where enthusiasts can connect to celebrate their passion for driving and the thrill of the build. It doesn’t matter how long you’ve been driving, what you drive, or where you’ve driven, we want to share your story. The Garage was made for you. This is what 2018 Looked Like...Join Us! More racer information will be added as we get closer to the event. For more schedule details, click here.